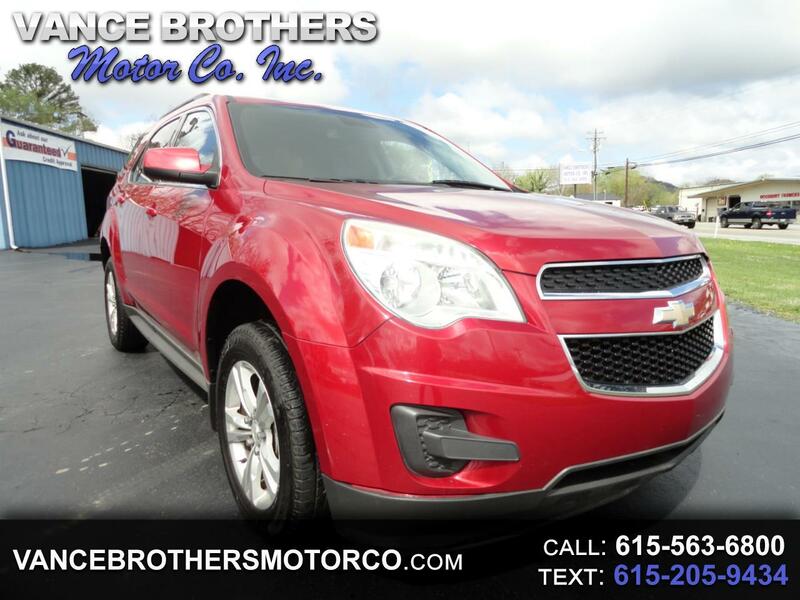 Used 2013 Chevrolet Equinox FWD 4dr LT w/1LT for Sale in Woodbury TN 37190 Vance Brothers Motor Co. Inc.
2013 CHEVROLET EQUINOX LT. WE FINANCE! ASK ABOUT OUR GUARANTEED CREDIT APPROVAL PROGRAM! Options include 2.4 liter engine, automatic transmission, full power, CD, back up camera, sunroof, tachometer, center console, duel air bags, rear defrost, and aluminum wheels. This vehicle gets excellent gas mileage. Apply Today! Warranty available. VANCE BROTHERS MOTOR CO INC FAMILY OWNED AND OPERATED.